TO WAKE UP TO THIS? 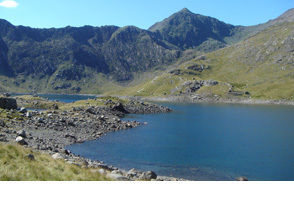 Mountain guiding specialising in Snowdon Treks, navigation courses and wild camping in Snowdonia from complete beginners to experienced trekkers. Welcome to my website, my name is Mike Dean. I am a qualified mountain guide specialising in Snowdonia treks, navigation courses and wild camping. 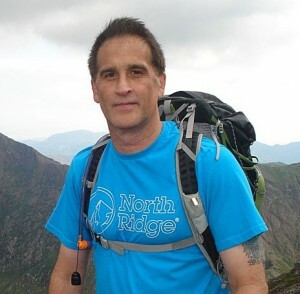 I am a course provider and assessor for the NNAS (National Navigation Award Scheme) navigation courses, I also hold a level two mountain wilderness first aid certificate. 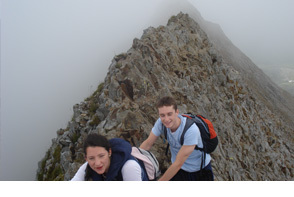 If you choose me as your mountain guide for your trek you will be in very safe hands as I have trekked to the summit of Snowdon well over 200 times. Did you know that Snowdonia National Park covers an area of 823 square miles and within its boundaries are 104 peaks over 2,000 feet (605 metres)? I have had the privilege of standing on the summit of each and every one therefore I know Snowdonia like the back of my hand. If you would like to go off the beaten trek to more remote or quiet areas please get in touch. You will always deal with me directly from your initial enquiry through to the conclusion of your adventure. If you already know your intended route that is fine, if not I will be happy to advice you on route choice taking into account your experience, fitness and expectations. Whichever trek you choose I certainly will not be rushing you as the most important thing for me is for you to enjoy your adventure. 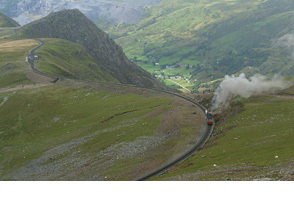 I can also give you advice on accommodation if you are planning to stay in the Snowdonia area. Please feel free to browse the other pages of my website and I look forward to you contacting me. Snowdon (yr Wyddfa) standing at 3,560 feet (1085 metres) has many classic routes, each with its own unique character and views. I have taken numerous groups and individuals to the summit of this majestic mountain even though some people thought it was beyond their capabilities. With my guidance and reassurance they were able to achieve their goal and this always gives me a great sense of satisfaction which is one of the reasons I enjoy guiding so much. 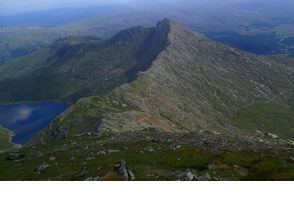 "I have had a long-nurtured ambition to walk the Cader Idris peaks while still fit enough to do it. On Saturday you made this possible. It was a thoroughly memorable day for me, rendered the more enjoyable by your meticulous preparation, comprehensive knowledge of the terrain and mountain skills, and the good-humoured care and patience with which you helped me throughout and particularly down the slow final stages, never making me feel a liability or at a disadvantage. I would and will recommend you as the ideal guide for anyone a bit rickety, but it’s also clear that you would be as welcome and knowledgeable a companion for an arduous expedition by the super-fit, and for all those in between. I look forward to a future excursion under your guidance. Meanwhile I am most grateful to you. My thanks again..."